A legend of Scottish sports journalism, in part one of the Hugh McIlvanney Conversations. Hugh McIlvanney shares his memories of Scots legends Ferguson, Shankly, Busby and Stein. Hugh McIlvanney shares his memories of George Best, Jimmy Johnstone and others. Legend of sports journalism Hugh McIlvanney shares his relationship with Muhammad Ali. Legendary sports journalist Hugh McIlvanney shares his love of great boxers. 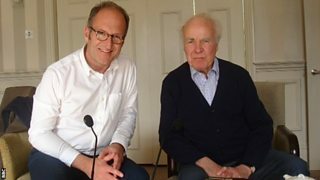 Legendary sports journalist Hugh McIlvanney discusses his passion for horse racing.